The ever popular, romantic roses can be intimidating to grow but in actual fact, they are quite durable and robust – with a few tips and tricks you too can receive years of pleasure, growing your own roses. Winter is the best time for planting roses. eal) so conduct a pH test before planting and add compost, organic matter or cow manure to improve the condition . 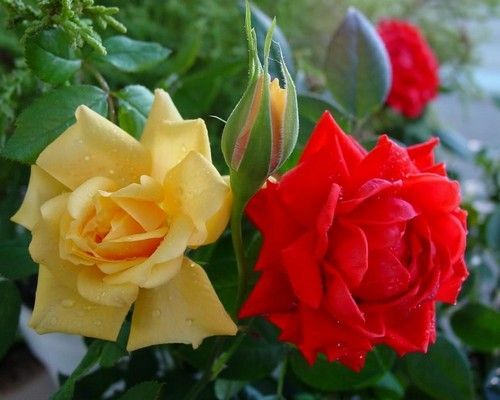 Plant your rose bushes where they will receive plenty of sunlight, especially the morning sun – 6 hours a day is perfect. Roses should be planted in a well-drained position and since they aren’t particularly sociable, it’s best to plant them in beds of their own. Again, because roses don’t like being around other plants it’s important to keep weeds under control. Always use a specialised rose food or mix and follow the application directions carefully. 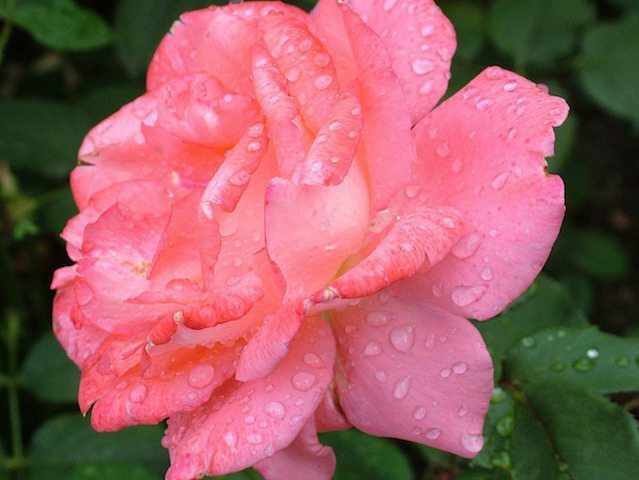 Soak bare-rooted roses in water for about an hour before planting. Dig a hole big enough for the roots to fit in comfortably. Create a mound of soil in the bottom of the holes and spread the roots over the sides of the mound. Half fill the hole with water and soil and allow the water to drain away. Fill in the rest of the hole with soil ensuring that the final soil level is a few centimetres below the bud union. Water well but don’t fertilise the rose bush at planting. Prune roses in winter, when dead hanging occurs and then a light pruning after flowering throughout the year. There are exceptions to the rule above with some winter flowering roses so seek some advice before pruning. Always use sharp, well-cleaned secateurs. A pruning saw may be required in order to remove old hard wood. Remove all old and unproductive wood from the rose bush – cut those brunches off at ground level or at the point where they join the main stem. Canes that are unproductive can be pruned back to just above the healthy branch. Stems should be cut just above an outward facing, healthy stem at an angle sloping away from the bud. Don’t remove any of the pink water shoots which will provide new flowering canes – they can be pruned next season if necessary. When pruning, try to maintain a good shape and as much foliage as possible. Pruning roses on a regular basis will ensure that the rose bush is healthier and remain at a more manageable size. With this in mind you can safely choose to prune back a rose bush to as much as one third of its size. Read this article for more information on buying roses in Perth, as well as pruning and using roses in your garden design. If you need assistance with rose bush selection, planting or pruning and maintenance contact the team at Perth Gardening.